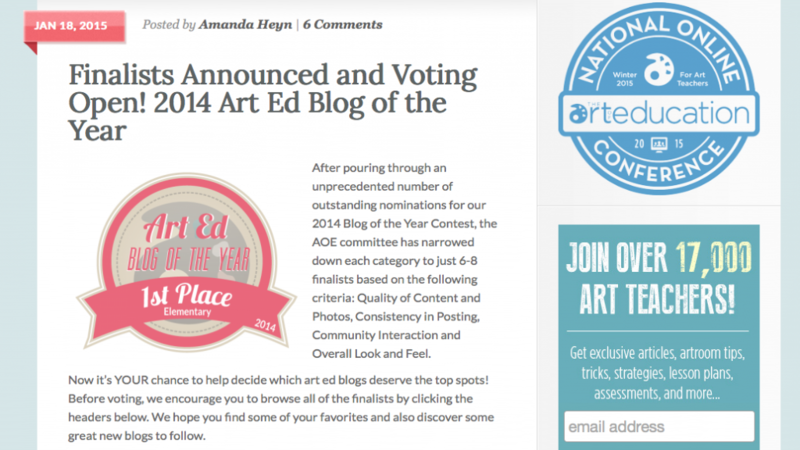 You are here: Home / Art & Technology / 2014 Art Ed Blog of the Year: Vote Now! 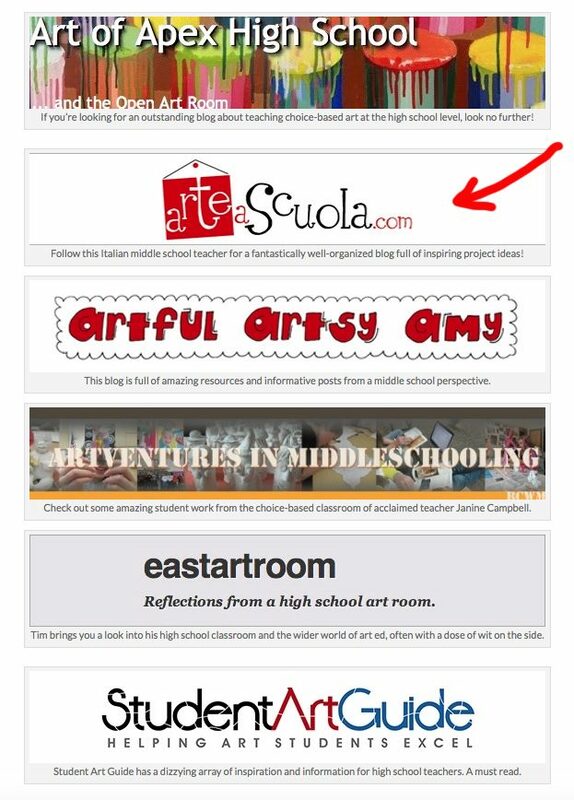 Also this year arteascuola.com was selected among the best of Art Blog, from the website The The Art of Education. 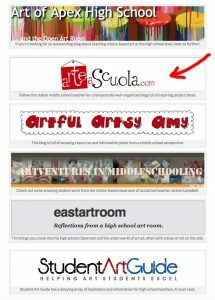 Arteascuola is among the six finalists for the Best Secondary Art Ed Blogs, and I have noted with pride that it is the only italian site among the 26 nominated in all categories. 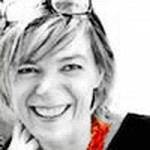 If you have a minute to give me, I ask you to vote for my site at this link : scroll down the list of finalists, click the pink button “Vote Now” , go to the category “Cast Your Vote for Best Secondary Art Ed Blog” and tick Arte a Scuola, remembering to confirm by clicking the button “submit” at the end. We have until January 23, 2015 to vote !! Thanks to all those who follow my site, and thanks for your vote !! You are amazing… Will vote! Hi Nic! I saw you into the category of Elementary School, I knew you are among the finalists!! Every time I read MiniMatisse I think about the first time I met you, I was curious and excited about the possibility of the web, and you inspired me and still inspire me! For me you are always the best, I hope you’ll win, you deserve it! Good luck, I vote for you!